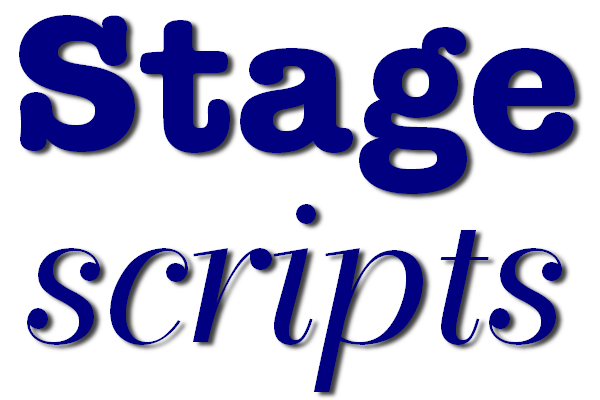 Stagescripts Ltd is small family-run business that has evolved and expanded over time. We signed our first titles into a catalogue in 1998, but it wasn't until four years later as 'Plays And Musicals' we began to really expand and develop a new catalogue. In 2007 we registered the company name 'Stagescripts Ltd' as the formal trading operation at which time 'Plays And Musicals' and all it's assets was purchased for £1 giving the new company a solid starting position. In 2009 we sat down with Chris Grady, a professional theatre consultant and the ex Head of International Licencing at Cameron Mackintosh Ltd. Together we mapped out the business vision and goals for Stagescripts Ltd, and we must have been doing something right because he subsequently joined the Board and provides us with a wealth of advice and contacts. Caroline Underwood joined the Board in 2012. Before joining Alan Brodie Representation she worked for many years in the licensing department at Warner Chappell, and is currently the Chair of Mercury Musical Development. For plays we provide a balanced general catalogue of titles ranging from family-friendly comedy to some distinctly edgy contemporary drama, with all shades of styles and content in between. Given that play production companies are generally prepared to take more of a risk when choosing a play than their counterparts in musical theatre, we tend to select titles that meet that demand, whilst always trying to maintain an overall balance between the genres represented. For musicals, when we started Stagescripts Ltd in 2007, with the experience gained in setting up and running 'Plays And Musicals', we faced a choice: either to 'sit back and pick low-hanging fruit in the sunshine' (ie forget the difficult stuff, just have a catalogue stuffed full of pantos, junior school musicals and one act festival plays) or, to 'attempt to climb the Himalayas in a snowstorm' (ie have a catalogue filled with top quality, but mostly unknown musicals, both small contemporary ones and big production ones). We decided on the 'Himalayan' approach and our growing catalogue of excellent high-quality musicals now provides both a good home for the writer's/composer's works, and also a place where prospective producers can begin to find exciting new material. There is a wealth of material available that is superbly written and has good box office potential, but has never had West End success and so gets no wide exposure. Our acquisitions come from many countries around the world, but being a British company, where possible we like to publish the works of new British musical creatives. For musicals then, we are attempting to fill a void in the marketplace between the 'fruit-picking' publishers with their pantos and school musicals, and the big three or four market leaders with their ex-West End and ex-Broadway titles. The number of pantomime titles available for production from other rights-holders is immense, necessary to fill the insatiable Christmas tradition for production companies to perform the traditional British pantomime. Many of these other rights-holders specialise in pantos, and it was clear to us that if we could not compete on quantity, we might attempt to compete on quality. Our strategy then is to offer a range of pantos that have either been the subject of a professional production, or have a top-notch writer, or excel in some other way. We have been growing the number of titles in our catalogue at a pace that is consistent with steady growth, and our policy of strategic alliances with corporate copyright owners/managers as well as individual creatives is now forging ahead with useful results.